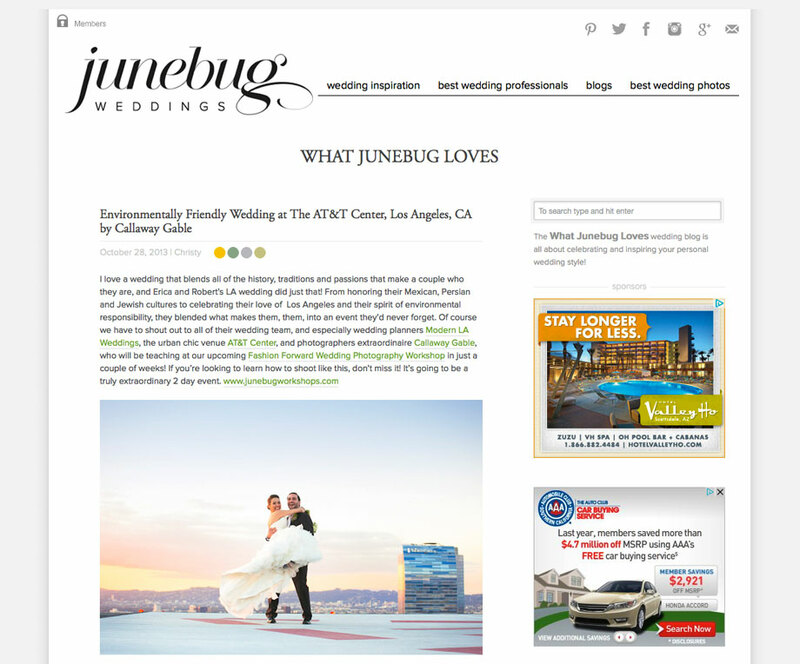 Today on Junebug Weddings, Erica and Robert's amazing wedding designed and planned by Nam Lam of Modern La Weddings at the AT&T Center in downtown Los Angeles. Click the photo below to read their story and to see all of the amazing photos!! Thanks Junebug!! !